It’s funny how one delicious discovery can lead to another. After making Chewy Ginger Snaps last week my imagination began to run head long toward fall flavors. In the Food Blogging world, pumpkin has been on the scene since late August. Pinterest is a plethora of flame-hued recipes sporting calabaza in every savory and sweet direction imaginable. I like to go slow into the next seasonal food, savoring the last moments of the current season and never wanting to peak too early inundating readers with more squash, in this case, than can be tolerated. Being the first official day of fall today, it seemed fitting to bring out the big pumpkin guns to celebrate one of the most flavorful times of the year! Our temperatures have rebounded from the chilly slosh of last week to the 80’s feeling like the start of Indian Summer, conjuring ideas with the deep, earthy spices of fall in an unexpected package: an ice cream sandwich. 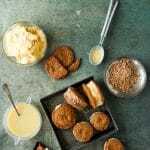 Never just for summer, this sandwich lasso’s the chewy ginger snaps and pairs them with pumpkin ice cream made light with some crème fraiche and sultry with a ripple of Salted Caramel. The only thing I could imagine could make it better would be to stud the exposed ice cream with crushed Heath Bar bits…..so I did. No complaints from my taste testers. Actually no comments at all; they were too busy devouring their sandwiches. Though this treat requires three recipes in one, it’s totally worth it. 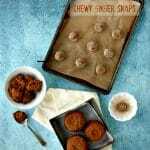 The chewy ginger snaps are unique first by being actually chewy but sparky with flavor thanks to both traditional spices and diced crystallized ginger. The Salted Caramel recipe is one I’ve used verbatim before and is a recipe dreams are made of. There will be some left over if you make a full batch so you can put it on other things (or eat it by the spoonful; it’s truly irresistible). 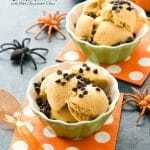 The ice cream has a beautiful pumpkin flavor with only light spices so as to not compete with the spicy cookies. And it’s all gluten-free! 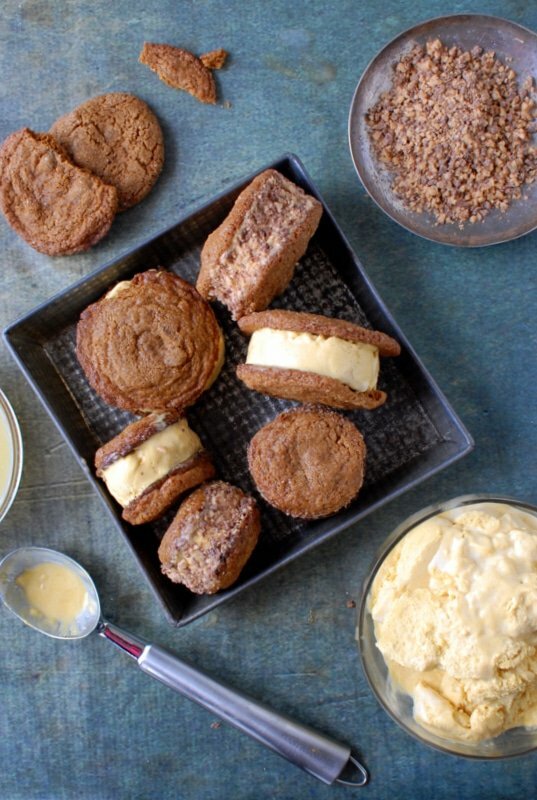 A playful celebration of fall: Chewy Ginger Snaps are perfect for ice cream sandwiches paired with a light Pumpkin-Salted Caramel ice cream studded with Heath Bar bits. Salted Caramel Note: The ice cream will use about half the volume of this recipe. 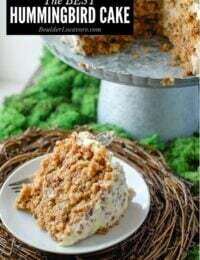 You can either make a half recipe or (my recommendation) keep the extra for other delicious desserting. Set up an ice bath: Place a layer of ice cubes in a large mixing bowl. Place a second heatproof metal mixing bowl in the first bowl on top of the ice. Position a fine mesh strainer on top of the inside bowl. (click to see a photo). In a medium mixing bowl, place the egg yolks and lightly beat. In a large heavy saucepan combine the milk, cream, crème fraiche, pumpkin puree, sugar, salt and pumpkin pie spice over medium-low heat. Whisk to fully combine. Stir regularly until small bubbles begin to appear. Whisking constantly, pour about half of the heated ice cream base into the egg yolks. Return the rest of the ice cream base to the stove top and lower the heat to low. Pour the egg yolk mixture back into the saucepan with the ice cream based. Using a heatproof soft spatula or spoon continue to the stir the ice cream base, scraping the sides of the pan and bottom as well. Continue to stir constantly until the mixture thickens and coats the spoon or spatula when lifting it from the mixture (approximately 5 minutes for my batch). Pour the mixture through the strainer on top of the ice bath and use the spatula to push the mixture through the strainer into the bowl. Also scrape the mixture from the outside of the strainer into the bowl. Allow mixture to cool. Remove the bowl containing the ice cream base from the ice bath, cover the bowl and place in the refrigerator to fully chill for a few hours. Process the ice cream according to your ice cream machine’s instructions*. In a freezer-safe container drizzle enough salted caramel to cover the bottom of the container. Add a layer of ice cream and continue alternating drizzled salt caramel and ice cream until all the ice cream is in the freezer container. Freeze overnight. Place crushed Heath Bars in a large bowl or on a protected surface (the process is a bit messy). Take ice cream out of the freezer 5 minutes before starting to allow it to soften (if it’s very hot where you are working, only remove it a few minutes before beginning). Match pairs of cookie similar in size. Place the first cookie top down on a working surface leaving the bottom/flat side facing up. Place a scoop of ice cream onto the cookie and using your fingers work it into an even round shape coming almost to the outer edge of the cookie and flattening the top to be even (I made the ice cream approximately 3/4-1 inch thick). Place second cookie on the ice cream. Note: if you wish to smooth the sides a dinner knife can be used both to gently smooth the surface as well as apply small sliced of ice cream to fill any gaps. 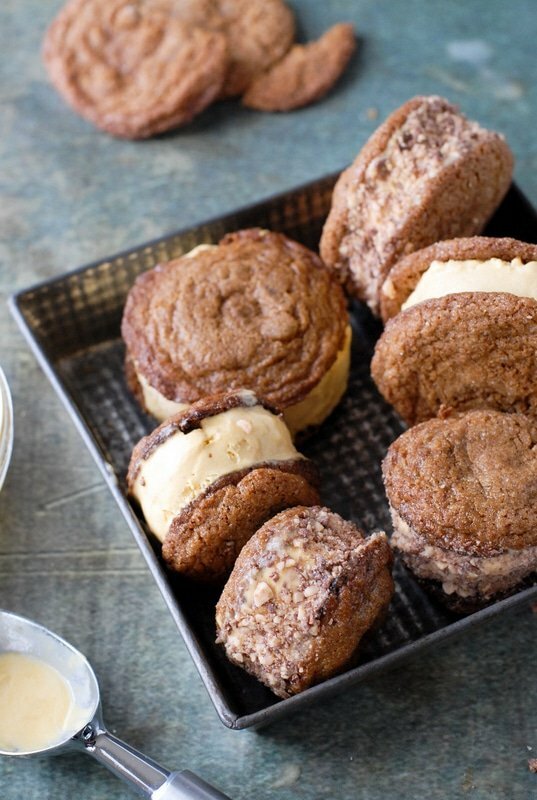 Holding the ice cream sandwich over the bowl or working surface, sprinkle crushed Heath Bars over the sides of the ice cream sandwich to cover the ice cream. Gently push candy bar bits into the ice cream if needed. Place constructed sandwiches into a sealed container in the freezer until set. * If not using an ice cream machine, here are instructions for making ice cream without a machine. These look incredible! They look like fun to make and even more fun to eat, and as usual your photos are beautiful – love it! I’m pretty sure I would have nothing to say, either. My mouth would be jam packed with this incredible concotion! I’m pretty sure I adore every one of these ingredients. 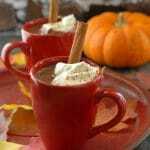 Pure Fall Indulgence! I’m going to show these to my daughter. I wonder if she’d like this for her upcoming birthday party! I know I would! 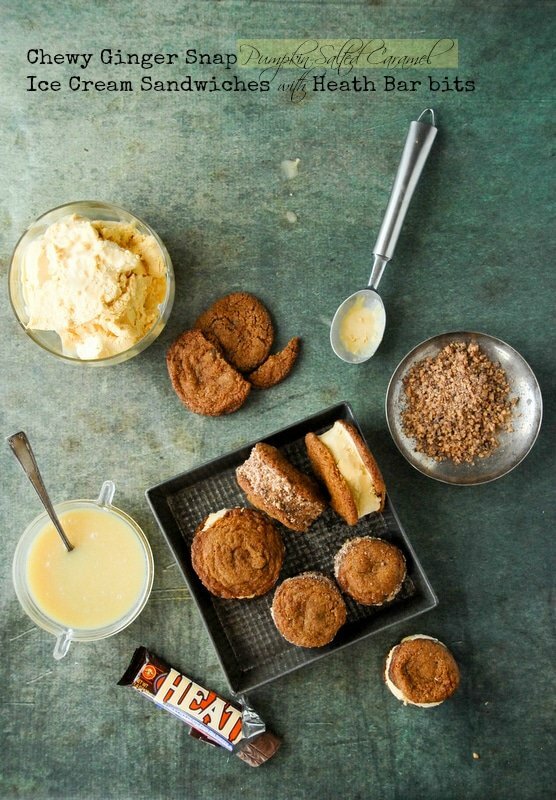 WOW… These look so delicious- LOVE ginger and pumpkin together…and add salted caramel?? It’s not even 8am and I want one now!